Bronze Eagle with a 2 inch insert. There is an insert available for each branch of the military. 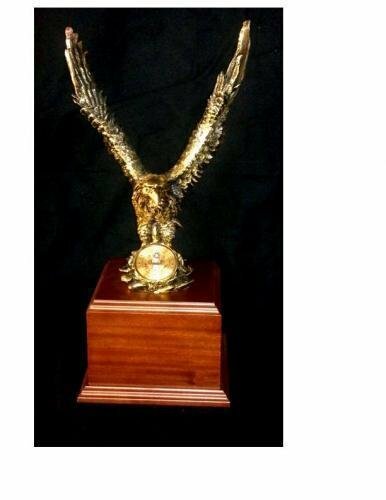 This bronze eagle with the wood block base would look great in an office or home of a service member.